Is Quanex Building Products Corporation (NX) A Good Stock To Buy? The Insider Monkey team has completed processing the quarterly 13F filings for the September quarter submitted by the hedge funds and other money managers included in our extensive database. Most hedge funds have been producing disappointing net returns in recent years, however that was partly due to the poor performance of small-cap stocks in general. Well, small-cap stocks finally turned the corner and have been beating the large-cap stocks by more than 10 percentage points over the last 5 months.This means the relevancy of hedge funds’ public filings became inarguable, as they may reveal numerous high-potential stocks. The following article will discuss the smart money sentiment towards Quanex Building Products Corporation (NYSE:NX). Quanex Building Products Corporation (NYSE:NX) investors should pay attention to a decrease in enthusiasm from smart money in recent months. 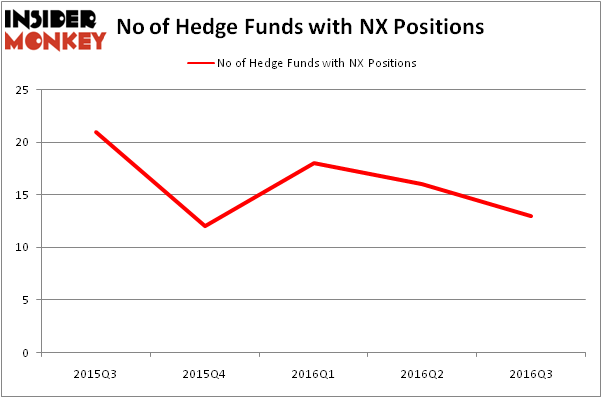 There were 16 hedge funds in our database with NX holdings at the end of the previous quarter. The level and the change in hedge fund popularity aren’t the only variables you need to analyze to decipher hedge funds’ perspectives. A stock may witness a boost in popularity but it may still be less popular than similarly priced stocks. That’s why at the end of this article we will examine companies such as Galapagos NV (ADR) (NASDAQ:GLPG), William Lyon Homes (NYSE:WLH), and Clean Energy Fuels Corp (NASDAQ:CLNE) to gather more data points. Now, let’s take a look at the latest action surrounding Quanex Building Products Corporation (NYSE:NX). What does the smart money think about Quanex Building Products Corporation (NYSE:NX)? At Q3’s end, a total of 13 of the hedge funds tracked by Insider Monkey were long this stock, a decline of 19% from the previous quarter. Below, you can check out the change in hedge fund sentiment towards NX over the last 5 quarters. With hedgies’ positions undergoing their usual ebb and flow, there exists a few noteworthy hedge fund managers who were increasing their stakes substantially (or already accumulated large positions). When looking at the institutional investors followed by Insider Monkey, Jim Simons’s Renaissance Technologies has the number one position in Quanex Building Products Corporation (NYSE:NX), worth close to $20.4 million, accounting for less than 0.1% of its total 13F portfolio. On Renaissance Technologies’s heels is Royce & Associates, led by Chuck Royce, holding a $12.6 million position; 0.1% of its 13F portfolio is allocated to the company. 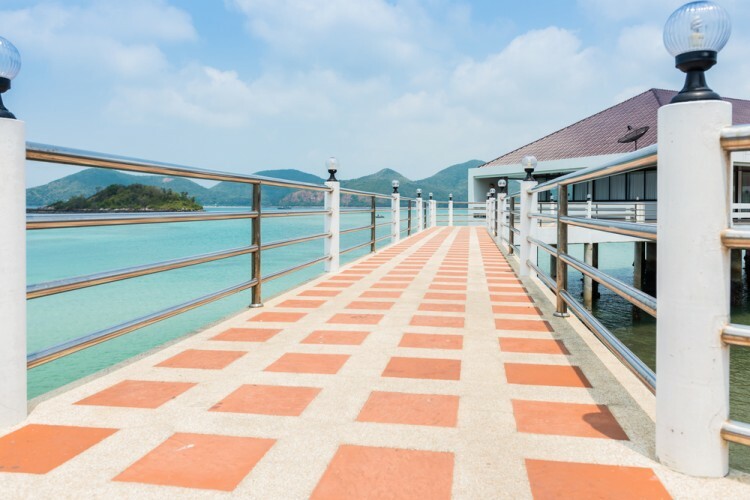 Some other peers that are bullish include Edward Goodnow’s Goodnow Investment Group, D. E. Shaw’s D E Shaw and Ken Fisher’s Fisher Asset Management. We should note that none of these hedge funds are among our list of the 100 best performing hedge funds which is based on the performance of their 13F long positions in non-microcap stocks. Should You Avoid Nationstar Mortgage Holdings Inc (NSM)? Hedge Funds Don’t Think Very Highly of Annaly Capital Management, Inc... Is Liberty Sirius XM Group (LSXMK) A Good Stock To Buy? Hedge Funds Are Still Buying Novanta Inc (USA) (NOVT) Is Northstar Realty Europe Corp (NRE) Going to Burn These Hedge Funds? Is Nordic American Tanker Ltd (NAT) A Good Stock to Buy?